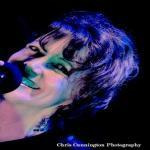 Sign up for Broadjam today to follow Diane Westin, and be notified when they upload new stuff or update their news! This is the true story of three different women who lost someone they loved. (One woman lost the love of her life right after they were engaged. The other women had relationships that were ending.) I wrote this tune to hopefully bring some encouragement during the difficult times women experience. Every person has unique power and strength inside; sometimes we just need to remember our inner treasure. This is the story of three women who lost someone they loved. The three women happened to share their stories to me on the same day. Feeling dismayed for my friends, I wrote this tune to hopefully bring some encouragement during their difficult times. But the sky fell in. Every day's like a battle, and you no longer care. Girl, Trust yourself, you have might. When you cry a star falls in a brilliant display. You made a leap of faith, said the big "I do,"
Gotta start all over, pick up the pieces instead. You were lost in the shuffle; nothing left inside. Looking back on the wreckage, need a place to hide. Thanks for supporting Diane Westin! Would you like to help Diane Westin get heard by industry pros by buying them a song submission credit to Broadjam Music Licensing Opportunities?